Episode #49 How to Stick To Your Budget, Conquer Debt, And Honor God With Your Finances with Bruce Ammons One of the big areas of stress in your life probably has to deal with finances in one way or another. Maybe you have a hard time sticking to a budget? (Or just creating one in the first place) Maybe you have an overwhelming amount of debt that you can’t seem to get out from under? (Or don’t know where to start in paying it all off.) Maybe you and your wife aren’t on the same page? Whatever ... Maggiori informazioni the case may be, based on the feedback that I’ve received from our Dad Hackers FB group one thing I know is that if you struggle to honor God with your finances or have stress in that area, you are not alone. This is why we brought Bruce Ammons on the show today. Bruce is the author of “Conquering Debt God’s Way” and has led his financial seminar “Right on the Money” in over 500 churches in 24 states and in Canada. He knows a thing or two about finances. During the interview we talk about the mindset you need to develop in order for you to successfully stick to a budget and pay off your debt. He gives some very practical steps you can begin taking today to get your finances in order. We also discuss what to do once you have your debt paid off. Often we focus just on making a budget and paying off our debt, but there’s a bigger vision you need to develop for your finances. Make sure you check out the show notes after listening for Bruce’s free resource. 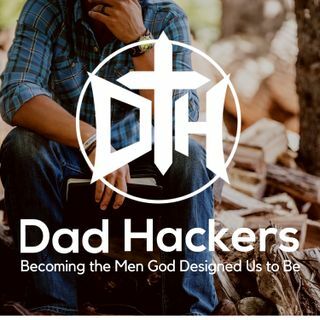 They are at dadhackers.us/049.